So Matt Mullenweg just gave his annual State of the Word talk at WordCamp US this year and set the tone for where WordPress will be going in the next year. Due to the differences in timezone, I wasn’t able to watch the live stream of his talk but I managed to grab a recording of it by logging into my free WordCamp US live stream ticket. Thank you guys for allowing us to grab a free ticket to watch the live stream online. 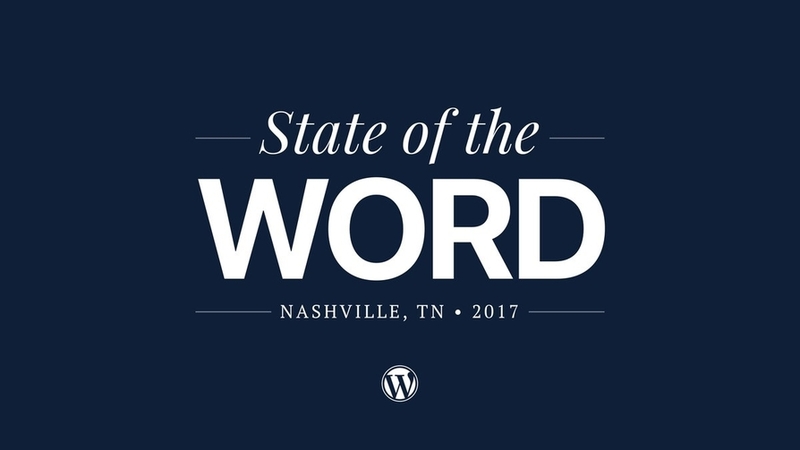 Update: State of the Word 2017 is now available on WordPress.tv (embedded below). In the state of the word talk, Matt Mullenweg highlights the accomplishments of the current year and sets the direction for the year ahead for WordPress. This year too Matt focussed on a variety of topics including growth in the number of WordPress events worldwide, WordPress Foundation, bug hunting, localization, launching of a new program, WordPress growth council, SSL, REST API, WP CLI and more importantly Gutenberg. The state of the word talk began with a short poem by Amanda Giles on WordPress which was followed by Matt’s appreciation for her piece of work and a small thank you note by Matt to the sponsors of WordCamp US 2017 for making it possible to organize such a grand event yet affordable by many. It was followed by a self-introduction note by Matt and where he can be found online. He had many good things to say about Nashville too, especially the hot chicken. In 2017 alone, there have been a total of 128 WordCamps organized in 48 countries worldwide. That is, a rise in 11.3% and 11.6% in the number of WordCamps organized and the number of countries in which they were held respectively. More than 39,625 WordCamp tickets were sold worldwide, which is a 6.8% increase in numbers since the previous year. More than 1008 organizers (33.9% 🡑), 2310 speakers (11.3% 🡑) and 1091 sponsors (3.6% 🡑) were involved in planning and organizing these WordCamps. Also, there were 4,379 WordPress meetups (42.9% 🡑) held in 73 countries (25.9% 🡑) with around 99, 301 attendees (64.9% 🡑) worldwide. The rising numbers in user participation in these WordCamps and meetups can also be attributed to the ‘Nearby WordPress Events’ widget that was introduced in WordPress 4.8 (it can be found in your WordPress dashboard). It resulted in an increase of 31.6% in average monthly attendance in these WordPress events. Matt reiterated how both, the WordPress Foundation and WordCamps now operate under separate umbrellas to better manage the funds for organizing community events, scholarships, do_action hackathons and WordCamps separately. WordPress Foundation now features four donate buttons ranging from $10 to $1000 per year so that they can increase the diversity of donors. Though I don’t make my living from WordPress yet, it has given me far more than what I can imagine. It’s high time I give back to it! Money raised by the WordPress Foundation will be used to ensure free access to supported software projects, protect the WordPress trademark, and fund a variety of programs. These programs are educational in nature and intended to increase understanding about WordPress, free software, and open source development. WordPress is totally free to download and use by anyone but there are so many developers, designers, marketers & bloggers who spend endless hours on it – adding new features to it, finding and fixing bugs, developing new themes and plugins, promoting it to new markets, creating documentation, publishing free WordPress resources & guides, etc. You can do your part by making a small contribution to it. So, go ahead and donate now. Since WordPress was launched on HackerOne around seven months back, 52 bugs have been resolved, 46 hackers have been thanked and 39 reports have been rewarded. Matt also gave a shout out to skansing for being the top WordPress bug hunter (nine bugs reported). Matt also encouraged popular theme and plugin developers to adopt this method to find and fix bugs in their plugins and themes. The new WordPress.org homepage is now available in more than 26 languages. There are now around 47,350 active WordPress plugins in the plugin directory totaling around 633,274,305 plugin downloads. Localization Support – There are currently 1,166 themes and 2,023 plugins with language pack available. WordPress will be actively participating in a new program called ‘tide‘ in the coming year. Tide performs a series of automated tests against every theme and plugin available in the WordPress.org theme and plugin directory to check for the presence of the bad quality code, security risks, incompatibility, etc. It empowers users to make better decisions on the plugins and themes they install on their sites. Matt Mullenweg also hinted that WordPress Growth Council’s first meeting is around the corner. The job of WordPress growth council is to help promote WordPress to new markets through advertising, advocacy, creating documentation, writing books, etc. Bringing them all together to discuss the best practices, you have the Growth Council which is divided into two types – one for enterprise-level growth and another for consumer level growth. Currently, 36.28% of all WordPress sites are using HTTPS, while a year back it was just around 14% – HTTPS adoption by WordPress users has grown by more than double, thanks to Let’s Encrypt’s free SSL certificates. This year’s WordPress releases were mainly focussed on three things – Editing, Customization, and REST API. Matt Mullenweg invited Weston Ruter and Mel Choyce on stage and they talked about the latest features added to WordPress version 4.8 and 4.9. Many new widgets were added to WordPress 4.8 along with a few updates to the existing widgets. And many more, read about it here. Matt also hinted that all these major improvements were possible only because the designers and developers worked together like bread and butter complementing each other. 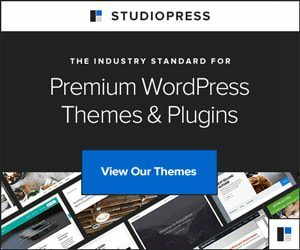 This will be the first time since 2010 that there will be no default WordPress theme released for the coming year. This is so because the devs need to focus on other stuff tagged with higher priority. You can expect extra cool stuff in 2018. In 2018, we will focus on the REST API as it’s got lots of room to improve. Moreover, the bonus focus will be on WP-CLI which is a cool command line interface for WordPress. In this year alone, there were 4 releases of WP-CLI made with the help of 24 contributors. Moreover, there were 46 WP-CLI related talks/sessions held at WordCamps organized across many countries. The main focus will be on the Gutenberg editor, to get it to ship it with WordPress 5.0. Matt also shared with us the info that Gutenberg is the longest running feature development WordPress ever had since its first release. According to Matt, Gutenberg is an effort to simplify all the different things we have going on in the WordPress ecosystem, like shortcodes, widgets, menus, etc. It’s 11 months since the Gutenberg project was kicked off and we have seen 18 major iterations with 4,302 commits, 100+ contributors, and 1,796 issues. 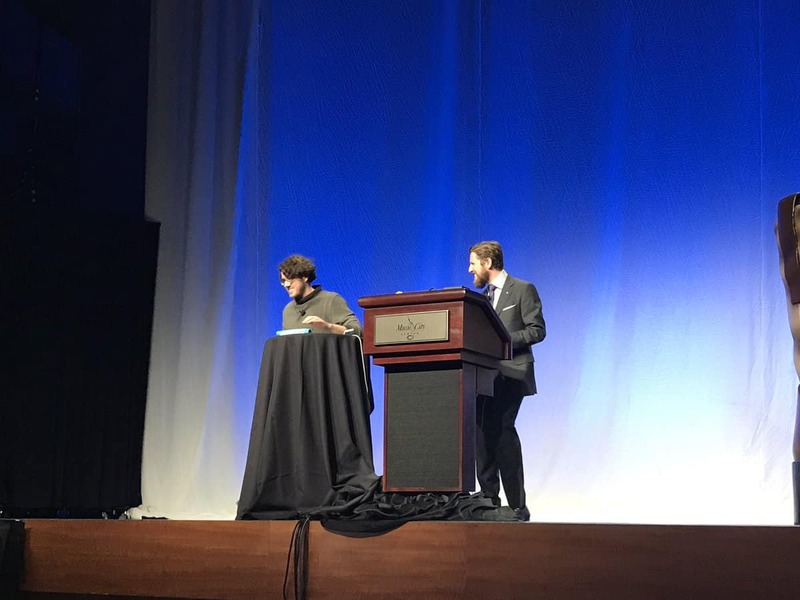 Then, Matt invited Matías Ventura on stage to perform a live demo demonstrating the capabilities of the Gutenberg editor. Matt assured that after about 12 more iterations ranging from four months, Gutenberg will finally be good enough for shipping it along with WordPress. Twelve years ago, WordPress introduced WYSIWYG with version 2.0 and now Gutenberg is what we need to build on for the next twelve years. Gutenberg will be around for a while. Finally, Matt wants people like you and me to test it. 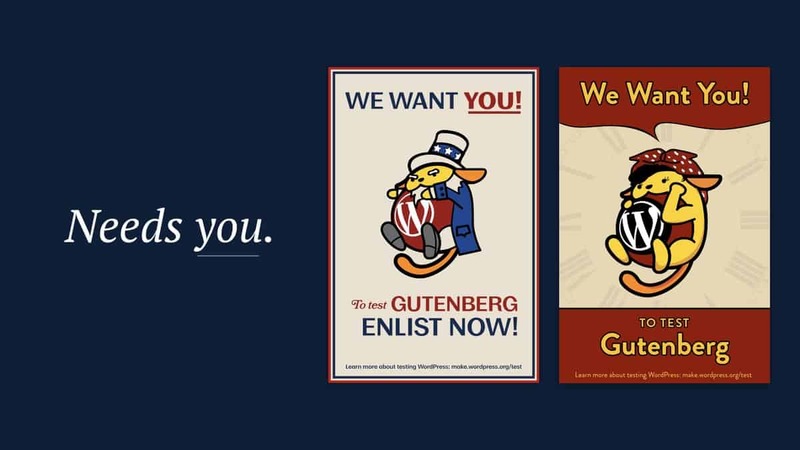 Gutenberg needs you, Gutenberg needs me and Gutenberg needs every one using WordPress to test it. So what are you waiting for? Go and participate in Gutenberg testing right away. Forget 280 characters, let’s have 280 blocks! Gutenberg will be feature-rich and will replace the need for you to install many plugins on your WordPress site. What more, you don’t even need to hire a developer to do any powerful customization for you-you can all do it by yourself. If you are a plugin developer yet to make your plugin compatible with Gutenberg and are fearing that your plugin will lose its functionality when Gutenberg is released with WordPress 5.0, worry not – the Gutenberg team has got you covered by releasing a Classic Editor plugin. Using this plugin, WordPress users will still be able to use your plugin by reverting back to the classic editor. But this is just a temporary solution and within this window time, you must be able to update your plugin according to the latest needs of Gutenberg. WordPress currently has 29% market share, growing by 2% since last year. Matt Mullenweg will be keeping the lead hat on through 2018 because he wants to see Gutenberg all the way through till its shipped with WordPress 5.0. With that, State of the Word 2017 was over and Matt moved on to answering questions posed to him during the Q&A Session. Thus I hope that you found this article helpful if couldn’t get to watch the live stream or recording of Matt’s State of the Word talk, 2017. Great post. You provided so much good info. I didn’t think WordPress was such a big deal. Thank you Yoly. WordPress powers around 29% of the web which makes it a great deal for anyone working with it. Anyway, I’m glad that you got to know how big the WordPress community is. I’m as astonished as Yoly. I didn’t think WP was this big either. Wow! 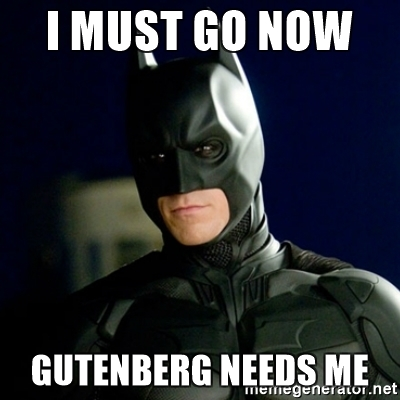 And is Gutenberg the same as Project Gutenberg that provides free ebooks? Most of the people in the blogging community do not realize that WordPress powers WP.com, their favorite blogging platform and that there are so many developers & designers working on it. It’s like any other software, constantly being updated to add new features and maintained to fix any issues that may arise. And nope, they’re not the same. You’ll get to know more about Gutenberg when it is merged with the WordPress Core and released with WordPress 5.0 and finally tweaked to work with WordPress.com. It’s quite complex. Think of it as a way to use block-like structures to design your site, where you can also move them around and add different types of blocks as needed. Give this post a look which I had published long back. Hope that helps!